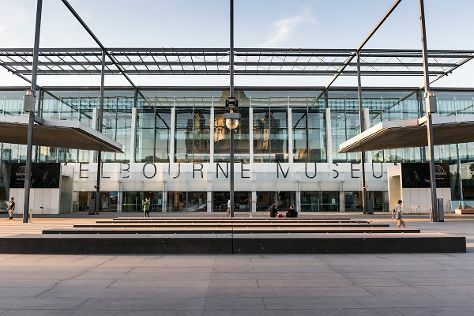 Start off your visit on the 1st (Thu): see the interesting displays at Melbourne Museum, brush up on your military savvy at Shrine of Remembrance, and then don't miss a visit to Royal Botanic Gardens. For photos, where to stay, traveler tips, and more tourist information, go to the Melbourne road trip planning app . Barcelona, Spain to Melbourne is an approximately 26-hour flight. You can also do a combination of flight and shuttle; or do a combination of flight and train. Due to the time zone difference, you'll lose 9 hours traveling from Barcelona to Melbourne. Traveling from Barcelona in August, things will get cooler in Melbourne: highs are around 16°C and lows about 6°C. Cap off your sightseeing on the 1st (Thu) early enough to travel to Sydney. On the 2nd (Fri), get to know the fascinating history of The Rocks, snap pictures at Sydney Harbour Bridge, then tour the pleasant surroundings at Bondi Beach, and finally take in panoramic vistas at Sydney Tower Eye Observation Deck. Get ready for a full day of sightseeing on the 3rd (Sat): admire the striking features of Sydney Opera House, tour the pleasant surroundings at The Opera House to the Botanic Gardens Walk, then kick back and relax at Manly Beach, and finally enjoy the sea views from Macquarie Lighthouse. To find other places to visit, traveler tips, more things to do, and more tourist information, read our Sydney trip itinerary planning site . Fly from Melbourne to Sydney in 3.5 hours. Alternatively, you can do a combination of shuttle and flight; or drive. 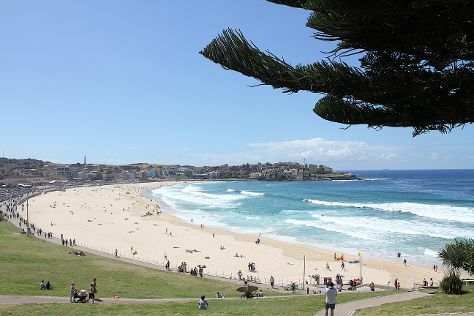 Traveling from Melbourne in August, things will get somewhat warmer in Sydney: highs are around 22°C and lows about 11°C. Finish your sightseeing early on the 3rd (Sat) to allow enough time to travel to Uluru-Kata Tjuta National Park. Kick off your visit on the 4th (Sun): trek along Kuniya Walk, contemplate the waterfront views at Mutitjulu Waterhole, then don't miss a visit to Uluru, and finally tour the pleasant surroundings at Uluru Hiking Path. On your second day here, head outdoors with Walpa Gorge, then take your sightseeing to a higher altitude at Kata Tjuta, and then take an in-depth tour of Uluru-Kata Tjuta Cultural Centre. For more things to do, other places to visit, where to stay, and other tourist information, refer to the Uluru-Kata Tjuta National Park day trip planner . You can fly from Sydney to Uluru-Kata Tjuta National Park in 5.5 hours. Alternatively, you can drive. Traveling from Sydney in August, you will find days in Uluru-Kata Tjuta National Park are a bit warmer (27°C), and nights are little chillier (6°C). 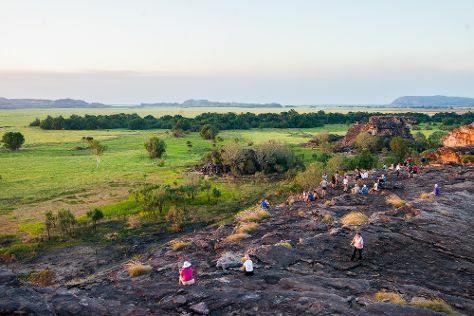 Wrap up your sightseeing on the 5th (Mon) early enough to travel to Jabiru (Kakadu National Park). Jabiru is a town in the Northern Territory of Australia. On the 6th (Tue), look for all kinds of wild species at Maguk Gorge and then don't miss a visit to Ubirr. Get ready for a full day of sightseeing on the next day: look for all kinds of wild species at Yellow Water, steep yourself in history at Nourlangie Rock, and then identify plant and animal life at Anbangbang Billabong. To find maps, reviews, and tourist information, you can read our Jabiru (Kakadu National Park) trip site . Traveling by combination of flight and bus from Uluru-Kata Tjuta National Park to Jabiru (Kakadu National Park) takes 9.5 hours. Alternatively, you can drive; or do a combination of flight and car. Wrap up your sightseeing on the 7th (Wed) to allow time to travel back home.